Regardless of the variations and inclusion of family traditions/favorites/idiosyncrasies, there’s still a basic underpinning of traditional dishes that you should have. Therefore, we’ll let you loose with a basic Christmas dinner shopping list that should cover the essentials. But first, let’s tackle some key questions that often get raised at this time of year. However, you can skip straight ahead to our free printable Christmas food shopping list template, if you wish. Does it always have to be turkey? Goose and pheasant are actually the oldest traditional Christmas meat in the UK. Yuletide yums historically even included wild boar’s head, swan, and peacock! Turkey in the UK was first served to Henry VIII for Christmas, but it only became widely popular in the 1950s due to wider availability and better access to refrigerated storage in the home. Whilst turkey is now seen as a set-in-stone tradition, it’s absolutely OK to have something else instead. You could try more traditional goose, or try duck, lamb, beef, and even fish! Vegetarians and vegans don’t even have to always have nut roast either. The same can be said about Brussels sprouts! If you don’t like ‘em, don’t feel bad about keeping them off your Christmas items list. 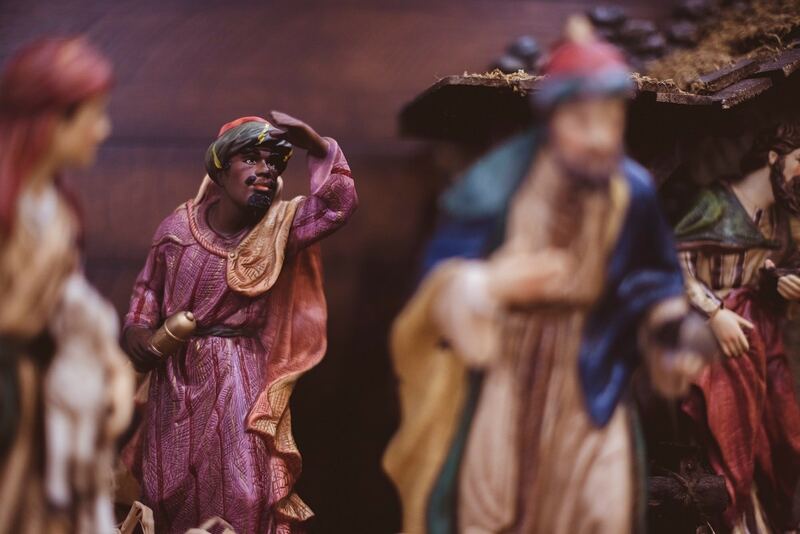 Christmas is a holiday that should be personal, so choose what you and your family like best. If it happens to be turkey, then hurrah! If you actually prefer something else: do it. After all, it’s your Christmas and no one else’s. The great thing about frozen turkey is that it’s cheaper and more widely available than fresh turkey. However, frozen turkey does require more preparation as you’ll need to buy it early enough to make sure you can defrost it fully before cooking. If you’re planning to slowly thaw your bird in the fridge, then the recommended time is 24 hours per 2kgs (5lb). That means if you’ve got a 5kg (12lb) turkey, you’re going to need more than 2 whole days to defrost it fully! You can defrost one quicker by placing it in cold water, but even then you should allow 30 minutes for every 500g (1lb). Even a small 2kg (5lb) turkey will need 2.5 hours before it’s ready to be put in the oven. You absolutely must make sure the turkey is completely thawed out before cooking. If it’s not properly cooked, you run the risk of giving you and your guests food poisoning. This will really ruin your festivities. How large a turkey should I buy? With many people, the attitude is usually “go big or go home”. But this might not be the best maxim to live by at Christmas. For starters, you need to make sure you buy a turkey that’s not too big for your oven. It’s self-defeating if you’ve bought an avian so oversized that you are physically unable to cook it! Furthermore, larger turkeys take longer to cook and defrost. So, if you’re planning on getting a bigger bird, you’ll also need to make sure that you plan extra time for both defrosting and cooking. Unless you’re really keen on leftover turkey curry and sandwiches for the rest of the week, remember that Christmas dinner usually has a lot of trimmings, from pigs-in-blankets to big ol’ crispy roast potatoes. Even if there is only enough turkey for one serving each, there’s still likely to be plenty of food to keep everyone well fed. This is really down to you, your confidence in making dishes from scratch, and the time you have. Making the umpteen Christmas dishes needed for your standard Xmas meal takes a lot of time and timing. When should you start to boil the potatoes for roasting? When must you brown the gravy? What do you do if the trimmings are ready before the turkey?! Although there’s a lot of pressure to be a domestic deity in December, remember that Christmas is a time that is supposed to be enjoyable. If you’d rather use instant stuffing mix because it saves you time and gives you peace of mind, then that’s fine! If you do want to attempt to make your own Christmas dishes, we highly suggest doing a trial run before the big day so you can build confidence in your ability to cook it, make any adjustments to the recipe that you need, and also get a good idea of how much time is needed to make it. This means that when it comes to C-Day, you’re versed and prepared to make your marvelous homemade feast. Should I skip the starter? 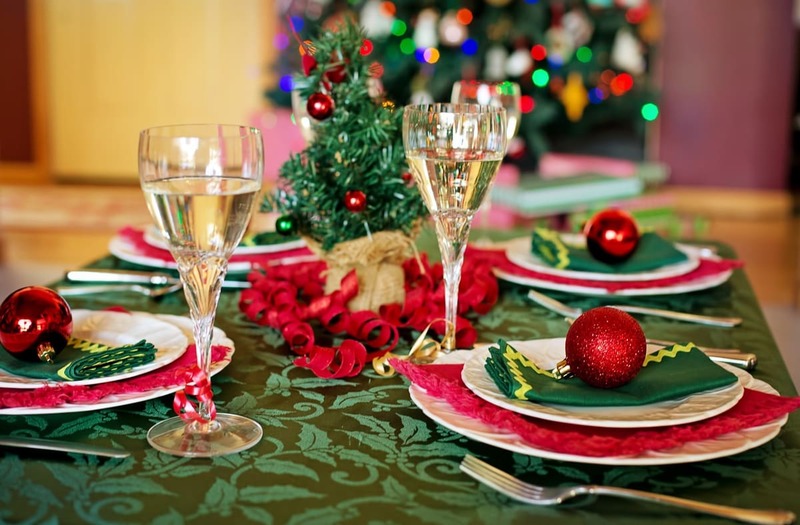 Christmas dinner is already quite a large meal if you consider just the main course alone. Therefore, skipping a starter might make you feel less guilty about your Xmas indulgence: and less bloated! Omitting the starter from your Christmas shopping list will also save you some festive pennies too. If skipping a starter is non-negotiable, then try and spread your Christmas courses over a couple of hours, rather than going straight from course to course. This will give you time to digest what you’ve already eaten and prevent you from feeling too gassy, nauseous, or suffer a bout of unwanted indigestion. But don’t forget there’s likely to be plenty of snacks and chocolates that you might graze on well before the dinner itself. Skipping a starter won’t necessarily leave you and your family famished. 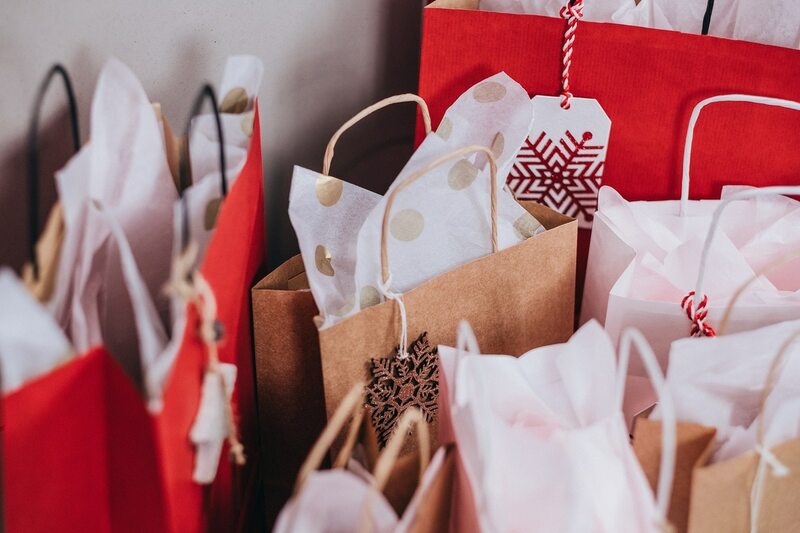 Now that we’ve gone over some of the more poignant festive questions, we present to you our Christmas shopping list template for the crucial main course and dessert! 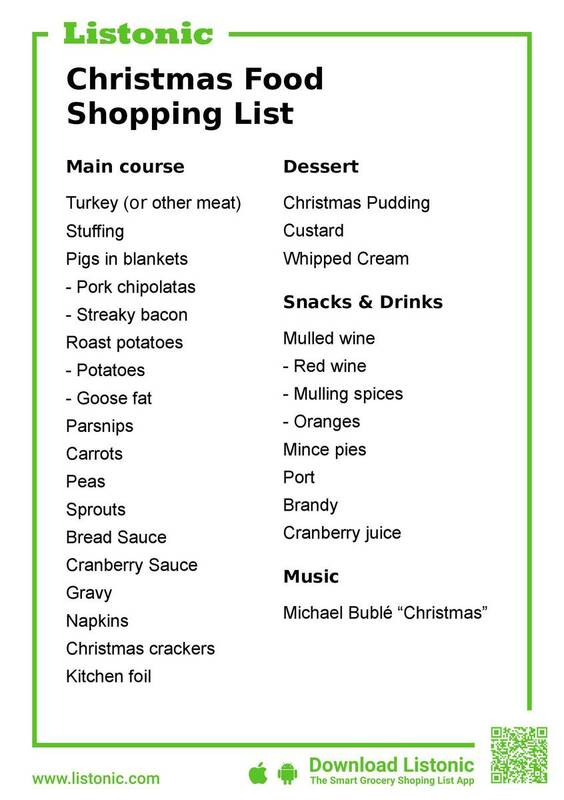 Feel free to make any omissions, additions, or overhauls to this Xmas food list as you wish. This is your Christmas, so make it your own and a good one. You can also download a free printable version of this list. What does your Christmas food shopping list look like? Are we missing anything? Is how long it can take to defrost a frozen turkey surprising? Are you going to skip the starter this year? Let us know in the comments.